The success or failure rates in the Tidom Inc business has very little to do with it’s product offerings. The feedback we have surveyed is that it is just so difficult to find people who are willing to pay thousands of dollars for downloaded digital software. A second reason is that everyone who buys into the Tidom Inc business must also pay still more money for marketing to get leads to talk to. And one should be cautioned that you will need to be able to talk to people if you are going to have any chance. Tidom Inc also offers to call your leads for you but you must first pay for the marketing and actually find the leads. If anyone does sign up, you will then have to give away 33% the whatever commission you might have left over once your inviter takes 100% of your first sale. So, it seems that there are a lot of hands in your pocket here. A third reason for those who get this far is that you don’t earn any money from your first sale. Your first sale ends up going to your inviter. That can be physiologically draining after all those expenses you paid for. Finally, another issue which has become a cause of concern is the rampant discounting by members attempting to hook prospective members from one another. It seems that as it becomes more a more difficult to attract new people with enough money to join, members will often resort to offers of free entry to higher levels if the prospective member will only join at a lower level. This type of discounting only further discounts the vitality of the business and is usually a sign of weakness for future growth. It also depreciates what a high ticket business is suppose to produce. So, one might question if after paying all this money for a high ticket opportunity, how can this business ever produce the high profits once all the discounting is done? 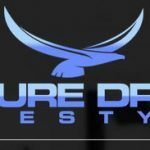 One must recognize that in this type of business, people are not generally signing up because of downloadable software products so, we feel paying so much for products (up to $22,000) is not going to lead to more sales. It is the marketing that produces sales in businesses as well as the compensation plan. Don’t ever forget that. A Marketing engine that drives the business and favors you. A robust compensation plan that favors you. An INVESTED support system (residual income) that favors you. The important point to look for is that the above components should favor you. Marketing is the engine that drives the business. Our research of the Tidom Inc business is that their marketing has not evolved into anything of note. They seem to primarily focus on voice broadcasting which is running into heavy legal challenges from the FTC, so this seems to be very limiting. Their members often suggest post card mailings which is expensive and tends to lead to people who are often unable to afford such a high ticket business like Tidom Inc business promotions, thus this marketing may not be very compatible. Also the need for additional marketing is an ongoing process. These points do not favor you and that’s what got our attention. Tidom Inc business compensation plan clearly does not favor you since you have to pay for the marketing costs for your first sale and then 100% of your first sale goes to your inviter. 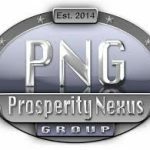 On top of that you have to pay Tidom Inc business up to $500 to join as well still other costs to set up your back office. This compensation plan favors your inviter and the Tidom Inc business. Your inviter has little financial reason to WANT to continue to assist you once he receives your first sale. There is no financial incentive for him to continue help. He does not get a residual commission on your sales. In fact , you now in effect become his competition. So there is no INVESTED support that a residual commission structure would provide here. This doe not favor you. These three issues are worrisome. 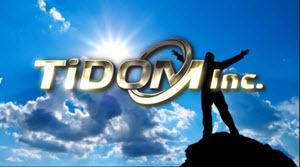 Where as Tidom Inc did have some good points going for it, where it matters most to our members, the Tidom Inc business fails our best biz practices test. In each instance, the lopsidedness of the scales always tips to the other guys. For this reason we have withheld our recommendation and suggest you give serious consideration to our current top rated businesses. We believe that having these advantages will considerably increase your success rate. The following three businesses incorporate these advantages. Additionally they offer a robust compensation plan which is among the top in the industry. In fact in an earlier review they earned our coveted “5 STAR TOP BANNER” award. You can visit their site by clicking here.